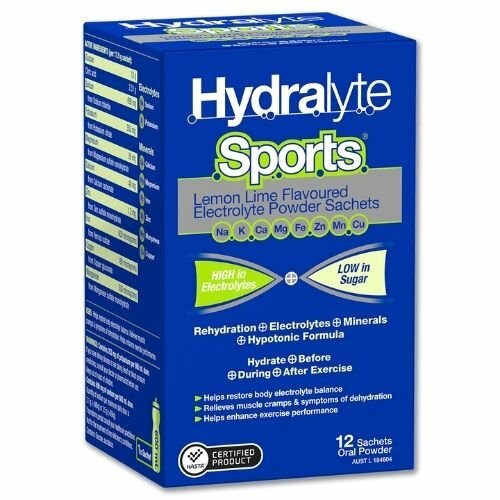 Hydralyte Sports is a clinical rehydration product based on the formula used in the Hydralyte therapeutic range. 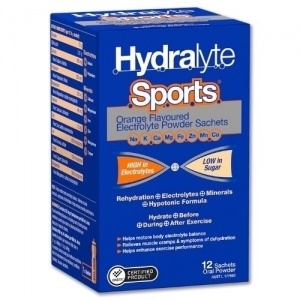 Hydralyte Sports is manufactured to pharmaceutical standards. It is available in 2 flavours (orange & lemon lime) and comes in a sachet that makes 600ml.